Join me for a rare public show this December in Nottinghamshire. Caunton Beck is a beautiful country pub based in the village of Caunton, near Newark, Nottinghamshire. The fire will be roaring and you will enjoy a scrumptious 3 course meal prepared by the chefs. after the meal, sit back and relax with Tea & Coffee and experience the mind reading and mentalism of local entertainer Looch. 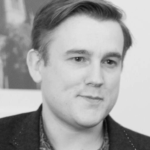 Caunton Beck presents; ‘An Evening with Looch Mind Reader’ on Tuesday 6th December 2018. 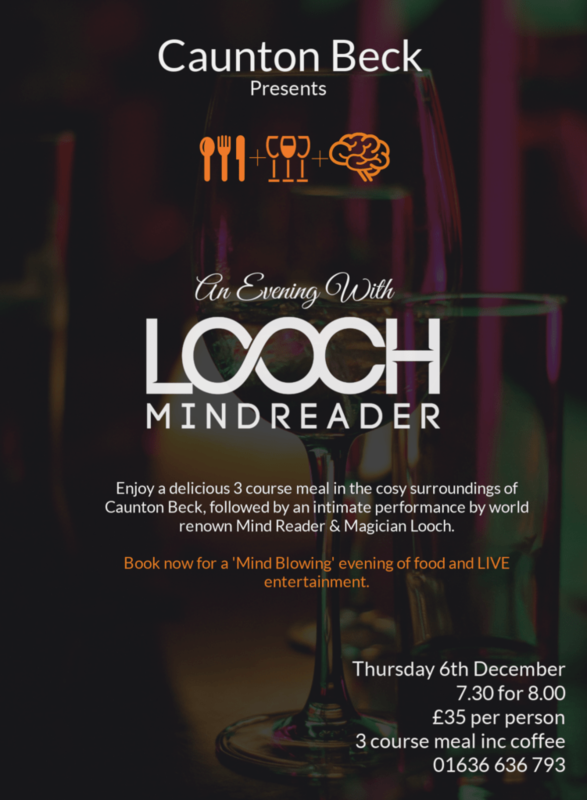 3 Course Meal including Tea & Coffee, followed by a mind blowing performance by local Mind Reader & Entertainer Looch.